I’ve been working on branding and graphics for a client recently and I thought I’d share some of that here. 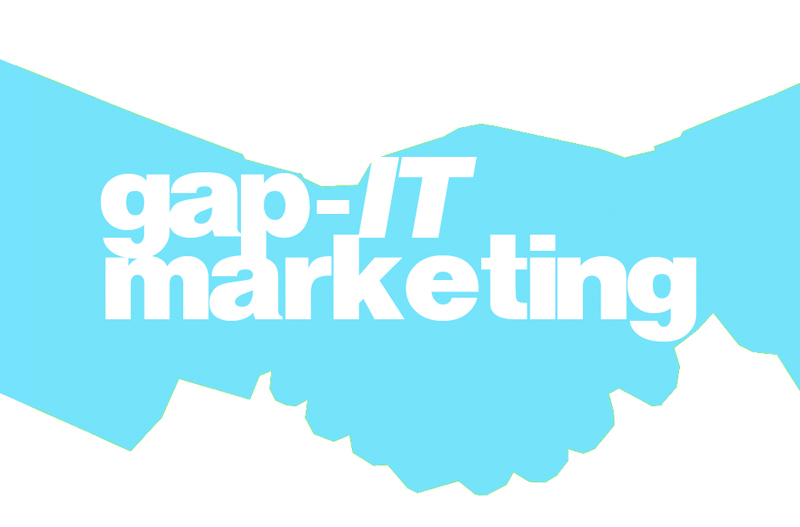 The company is a start-up, Gap IT Marketing and is involved in generating sales within the IT sector. I took my lead from the firm’s name and decided to base the philosophy of the design on how the company literally bridges the gap between a product and it’s marketplace. See what I did there? There’s a bit of a Saul Bass feel to it all, with the second graphic in particular, but sure a little bit of Bass never hurt anybody.